Home / Aidca / Featured / Indore / National / Religion / Ek Behtar Bharat - One Better India - Aidca conference held in Indore. Ek Behtar Bharat - One Better India - Aidca conference held in Indore. 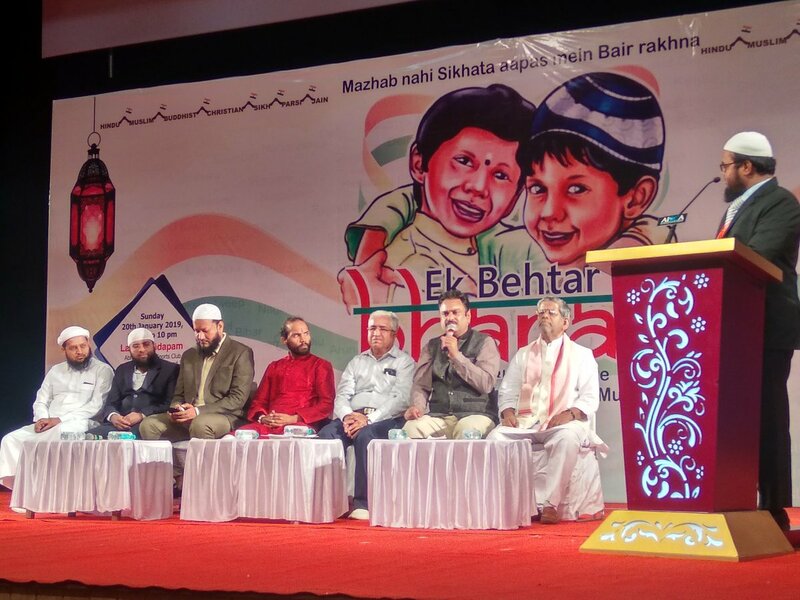 Indore: On Sunday, 20 January 2019, a conference on the theme “Ek Behtar Bharat”, which means One Better India, held successfully in Indore. Various dignitaries across India participated with an aim to make India more better. The event included talks and panel discussions with an open question and answer sessions live from the audience and the hosts. Dr. Ram Puniyani, while interacting with the audience, said that “we need to answer the evil and hatred with good deeds and love”. “When you believe that the God sees you everywhere then there will be humanity everywhere,” said Ather Khan (CEO, Al Asr Academia) in another panel discussion. “It is very important for all Indians to live in peace and harmony, for that we need to understand the political agenda of those who follow divide and rule policy.” Moinuddin Ibn Nasrullah, Social media In-charge, AIDCA, told to the Truth Arrived. “In couple of years we have faced much division among the Indians,” he added. After the series of conferences in Bangalore, Mumbai, Delhi and Kolkata, this conference was planned and conceived by Aidca – All India Dawah Centers’ Association – an umbrella organization of various registered NGOs in India, which is headed by Imran Khalil. Editorial: Ajmer Blast Case: Saffron Terror Exposed – O people of India beware! Opinion: 5 Reasons why Sonu Nigam's tweets are communal? Disclaimer: The opinions presented by the writers may not necessarily be the opinion of this website.